Have you been thinking of how to delete your Faceɓook account permanently? 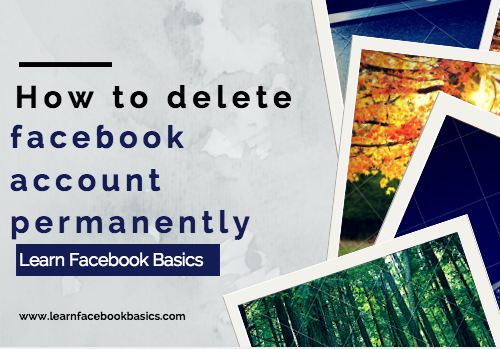 well, this latest Facebook article will be helpful enough to show you what to do in order to remove your account permanently from Facebook forever. If you have turn off all notifications including Facebook group notifications, then you should consider temporarily deactivating Facebook to avoid the distractions. However, if you are totally fade up with Facebook, then you should consider to permanently delete your Facebook account. Follow onscreen instructions to complete the step. Delete your Facebook account. Click on the “lock” icon in the upper right- hand corner, click the “magnifying glass” icon and then search for “delete”. 4. Click on the result near the bottom that says “How do i permanently delete my account”. Now scroll down till you see the “Let us know” link.